We all know Coldplay's arrival in Manila has been a long time coming. With seven studio albums and four live albums under their belt, the band is bound to give their Manila audience a performance unlike any other with vivid visuals, their commanding stage presence, and an expansive set list spanning their twenty-year career. With the concert just days away, let Bandwagon give you some tips and tricks for an adventure of a lifetime on April 4 at the Mall of Asia Concert Grounds. – Please don’t have any music playing too – just you talking. – Upload your video to Instagram with the name of your chosen song as a hashtag (ie #Shiver) PLUS the appropriate show hashtag from below (only one show hashtag per post, please). Please tag @Coldplay too. If you’re going to a show in a city which has more than one show, please also tell us which date you’re going to. Get those #ManilaRequests going! You may want to check out the song requests for the Singapore shows to keep those juices flowing! 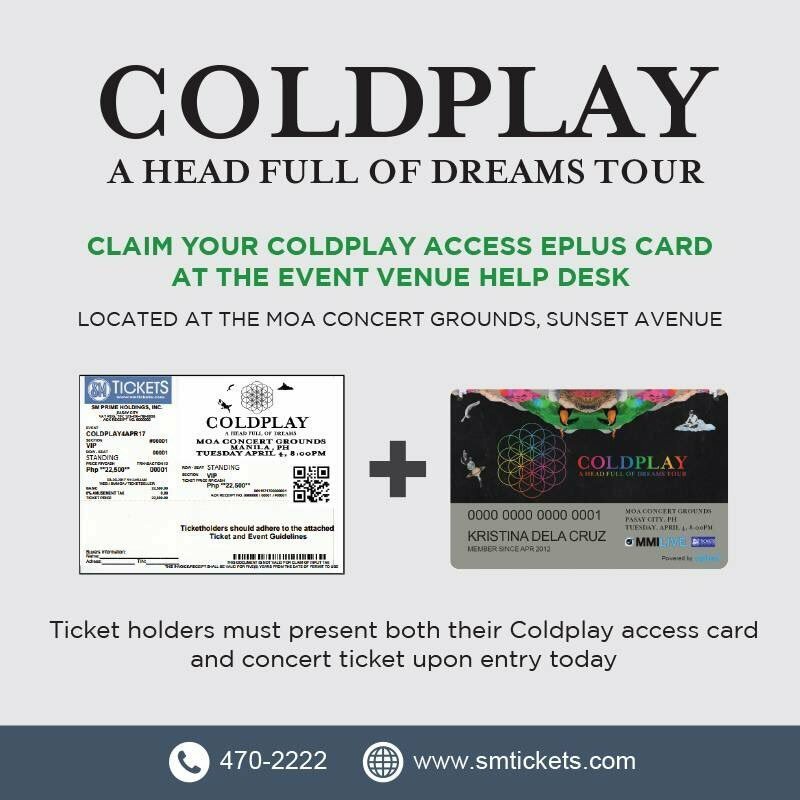 Take note that you need BOTH your access card and your concert ticket to enter the concert grounds. If you purchased your ticket at an SM Tickets outlet, just go back to the same outlet and present your concert ticket for your access card. If you purchased online, an SM Tickets personnel will get in touch with you regarding your preferred branch for pick up before March 31! [UPDATE 1 APRIL 10:56 PM] Access cards may be claimed before April 3 at the MOA Arena Box Office and SM Tickets at SM Mall of Asia. 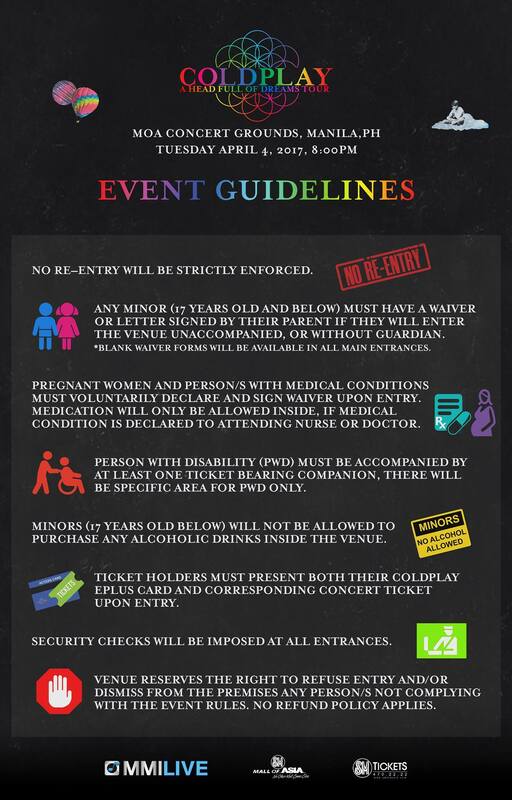 [UPDATE 4 APRIL 2:25 AM] Access cards may be claimed at the designated booths on the day of the event. Once you've gotten a hold of both, don't forget to keep them safe and secure til the moment you enter the grounds! All sections have their own entry points with designated medics on each side. Queue up early to get a good spot! Gates open at 5 pm. 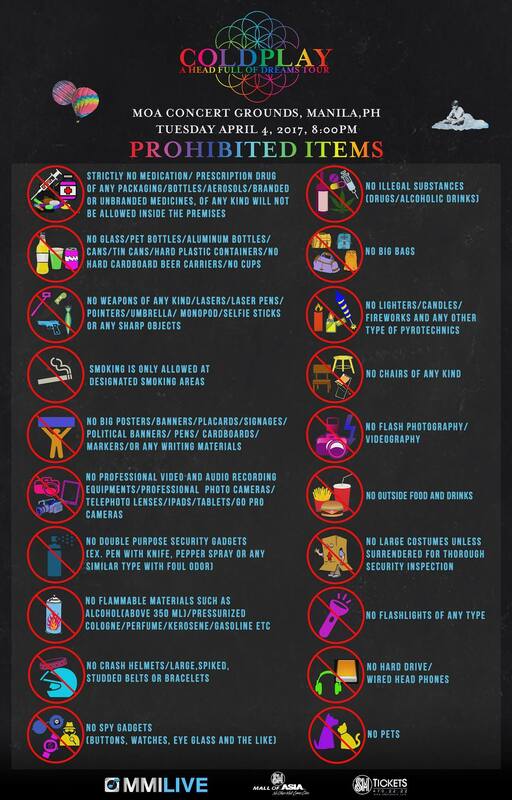 Take note of these guidelines and a list of prohibited items at the event. Only bring the essentials. There's quite a number things on the NO list, so better just bring the bare necessities - power banks included! Power banks have since been allowed! Snap the night away and don't forget to tag your photos and videos on social media with #ColdplayManila. Leave the selfie sticks at home, though! And make sure to keep your bags small and light for much easier dancing, of course. If you're commuting via the bus, train, or jeep, make sure to consult Sakay.ph for the most convenient routes for you! Gates open at 5 PM, so make sure to time your trips! Take note of the road closures and traffic plan on the day of the concert. If you're driving, Waze your way through and park in the parking structures on either side of Mall of Asia, as well as the parking structure beside the Mall of Asia Arena. Because no outside food and drinks (not to mention re-entry!) are allowed at the venue, make sure to energize right before singing and dancing your heart out at the concert! Both Mall of Asia and San Miguel by the Bay along Seaside Boulevard have an array of food options. You might also want to bring light snacks and some drinks while queuing into the venue. Remember to stay healthy and hydrated! 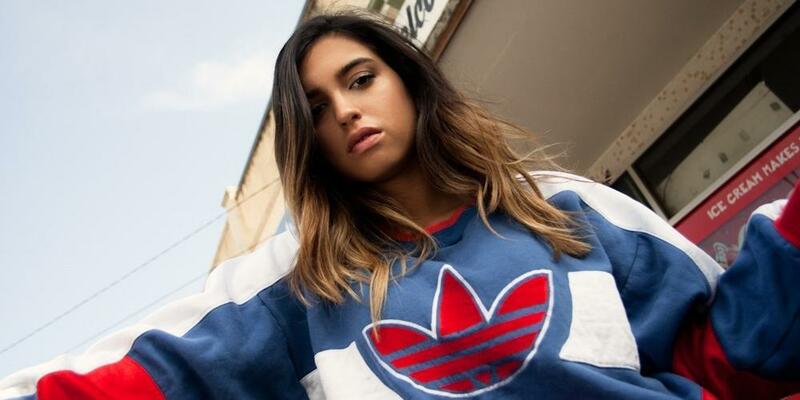 Coldplay has enlisted Australian pop singer Jess Kent as the support act for the Asian leg of their A Head Full of Dreams Tour. The emerging singer-songwriter previously opened for the band last December for their Australian tour. 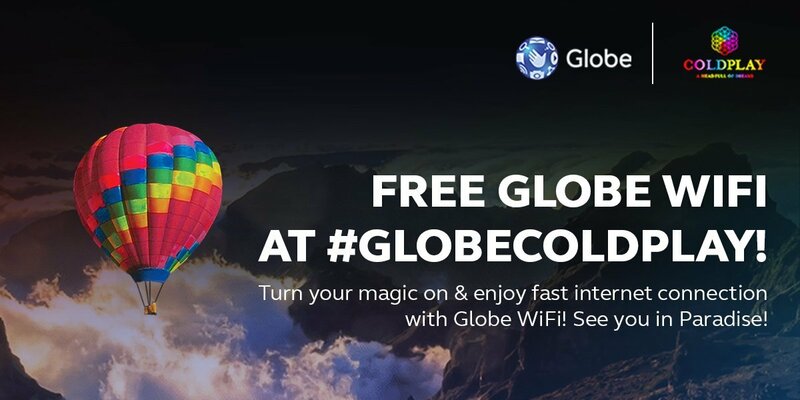 Coldplay Live in Manila presenter Globe is giving everyone free wifi access for you to be able to share your unforgettable Adventure of a Lifetime with the rest of the world. Don't forget to use #GlobeColdplay! En route to the venue or even in the queue, practice singing along to the band's entire discography via Spotify! 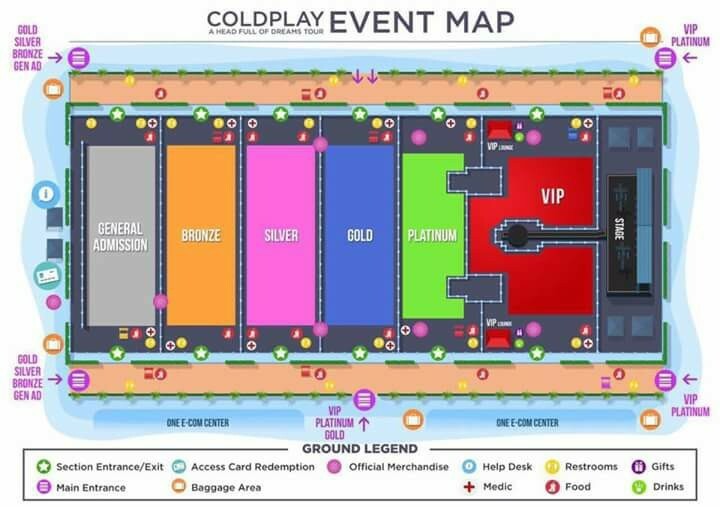 Read up on this fan's Coldplay concert experience last New Year's Eve in Abu Dhabi and check out Bandwagon's guide to concerts and festivals below. 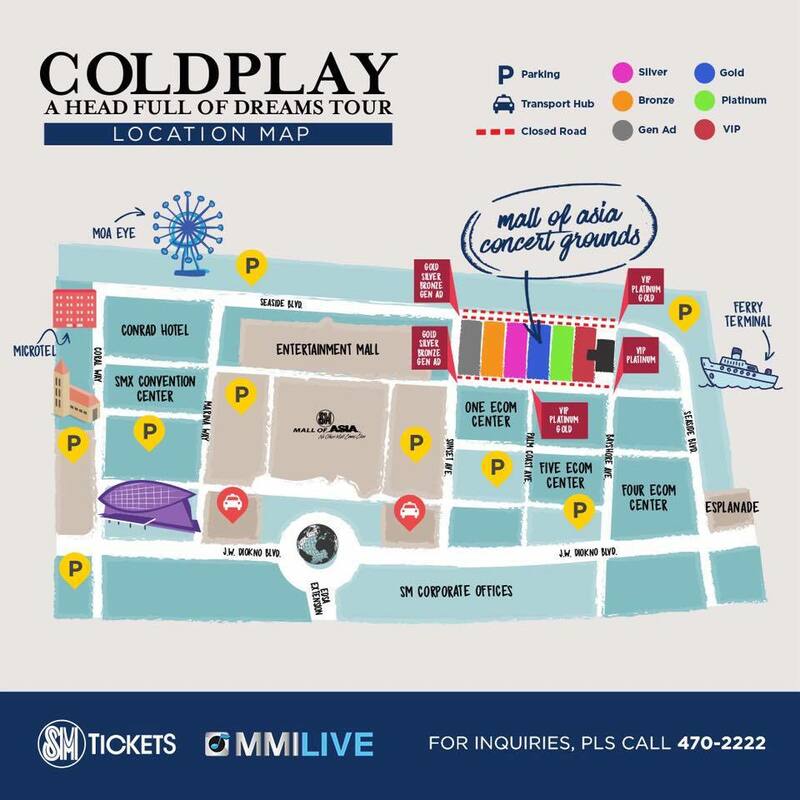 Coldplay Live in Manila is presented by MMI Live and Globe.